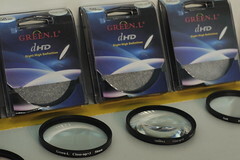 Shangyu GREEN.L Digital Photographic Equipment Co., Ltd., was founded ins 1995 as Shangyu Yufeng Optics Lens Factory in Shangyu, province Zhejiang, China. It is a maker of mini tripods and lens accessories. Its brand name is GREEN.L. This page was last edited on 7 November 2011, at 16:15.